800 m² cleanroom in the MiNaLab building. Our focus is on silicon sensor and actuator research, prototyping and small-scale production. MiNaLab is ISO certified and the only independent complete silicon processing line in Norway. The services offered by the department of Microsystems and Nanotechnology include feasibility studies, device design, prototyping, process development, and small and medium scale production in the MiNaLab cleanroom laboratory. ISO 14001, ISO 9001 and OHSAS 18001. 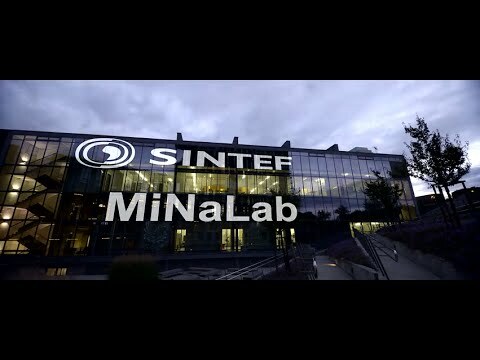 Both Norwegian and international industry use SINTEF MiNaLab for production of key components. MiNaLab offers research, design and production of advanced silicon radiation sensors from single and double sided strip sensors, pixel sensors to silicon drift diodes. The group is a leading supplier for industrial and scientific applications. MEMS (Micro-Electro-Mechanical-System) based sensors, e.g. pressure sensors and accelerometers, are small, lightweight, cost efficient and suitable for high volume production. The integration of piezoelectric PZT thin films with MEMS can fulfill many of the requirements of sensors and actuators in tomorrow's smart systems. Microsystems for medical and biological applications. We focus on nanotechnology enabled biosensors, sensors for in vivo measurements, and microfluidic technologies for Life Science research. Micro-opto-electromechanical systems (MOEMS or optical MEMS), are systems with structures in the micro- to millimeter range whose purposes are to manipulate light. Today's MOEMS devices include waveguides, moving mirrors and diffractive gratings.